Is there a woman on the Earth who doesn’t want to flaunt her shiny beautiful hair? Probably you are sure to get an immediate BIG NO as an answer. Hair is considered as one of the precious assets by women across the globe. Every woman craves for gorgeous, super shiny, straight and smooth hair. However, growing healthy hairs and maintaining the same in the best possible manner is the most cumbersome thing to do. In a bid to get luscious hair, women all around the world have been trying various ways - from coloring their hair to trimming them and from purchasing celebrity endorsed products to getting regular spas at the salon. They almost try all possible ways to enhance the beauty of their hair. 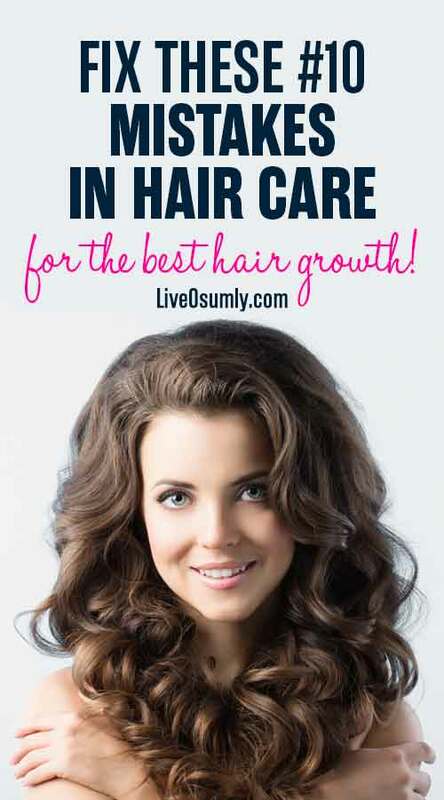 Despite trying everything they still end up with issues like heavy hair fall, too frizzy or dry hair, split ends, lack-lustre hair, hair thinning and what not. 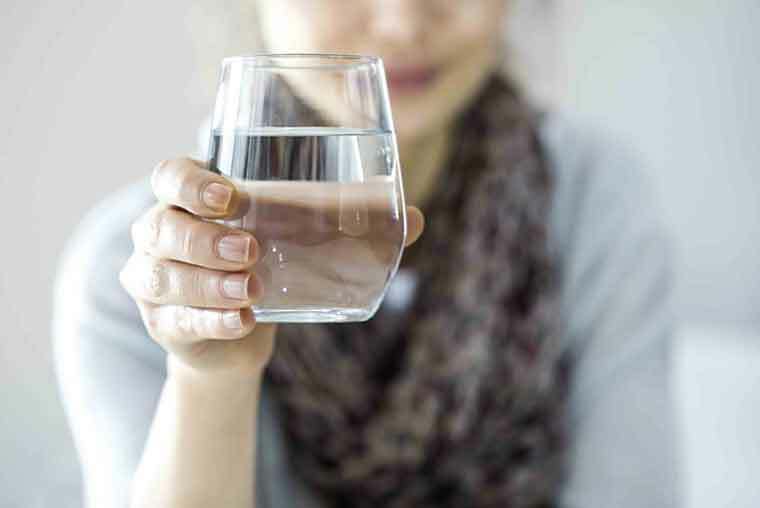 The reason is, in the process of caring for your hair, you are unknowingly doing certain hair care mistakes that damage your hair rather than nourishing it. The effort becomes all the more a wasteful one when mistakes are committed in the process of hair care. So, you need to know how to care your hairs in the right away to have healthy hairs. We ♥ being transparent! This post may probably contain Affiliate Links and LiveOsumly earns a commission through those independently chosen links at NO additional costs to you. To know more, You can see our FULL DISCLOSURE POLICY PAGE. 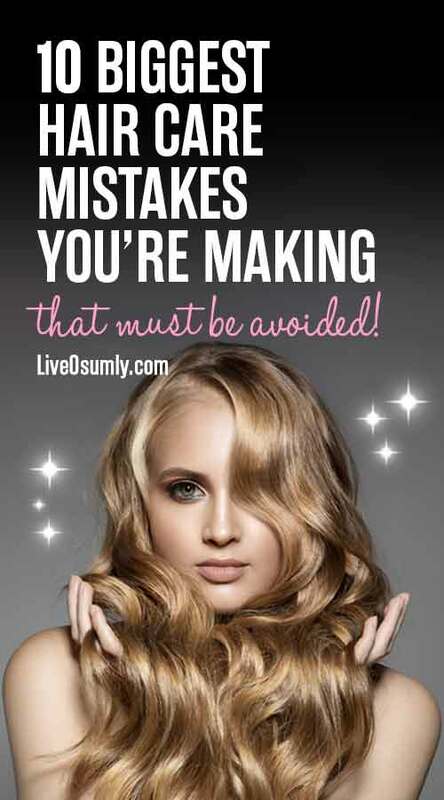 For your convenience, we’ve compiled some of the most common hair care mistakes that you need to stop right now to have healthy and beautiful hair. Sit tight and let’s begin! Many women resort to combing their hair in the opposite direction in order to flaunt the same in a voluminous manner. Backcombing is acceptable as long as it is done occasionally. When it is practised more often, hair cuticles experience breakage. Therefore, it is very good to avoid backcombing frequently. Backcombing is one of the most common hair care mistakes mostly done by people whose hair texture is thin. So, if you are one among them, refrain from the activity. Many among us try to flatten or curl our hair strands while they are still wet. 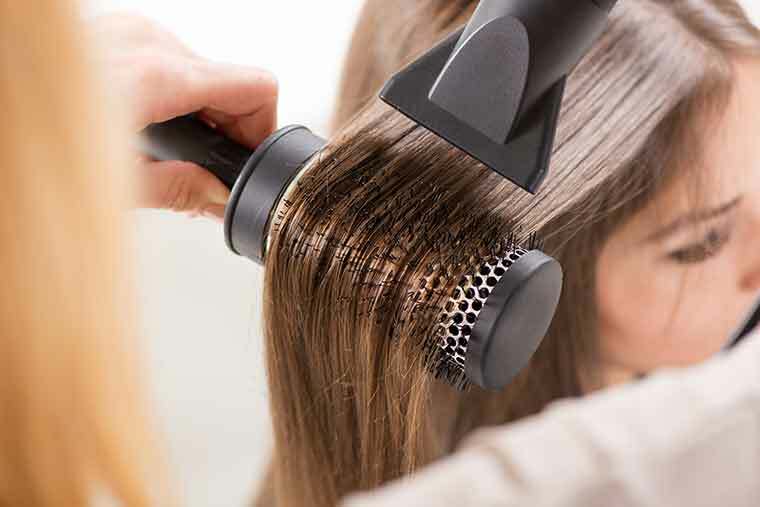 Using heated up tools over cold strands of hair weakens the tresses, breaking them up further. Dry your hair completely before applying any hot hair styling tools on them. Remember, not to mix heat and cold, since this is one of those deadly hair care mistakes that cause heavy damages to hair. In order to avoid hair tresses from weighing down, generally, conditioners are applied only in the ends. However, to avoid hair from breakages, it is important that the roots are also conditioned from time to time. This will avoid breakage of hair follicles safeguarding their health in the best possible manner. Many hair care mistakes split the ends of hair strands making them look shabby and neglected. The dreadful truth is that split end has no remedy. When the end of hair strands split, it takes a lot of efforts to make them healthy looking again. A proven remedy is to apply Argan oil regularly on the split ends to soften them. Also, trimming the split ends regularly is another way to get rid of them. Many among us take our hair for granted. 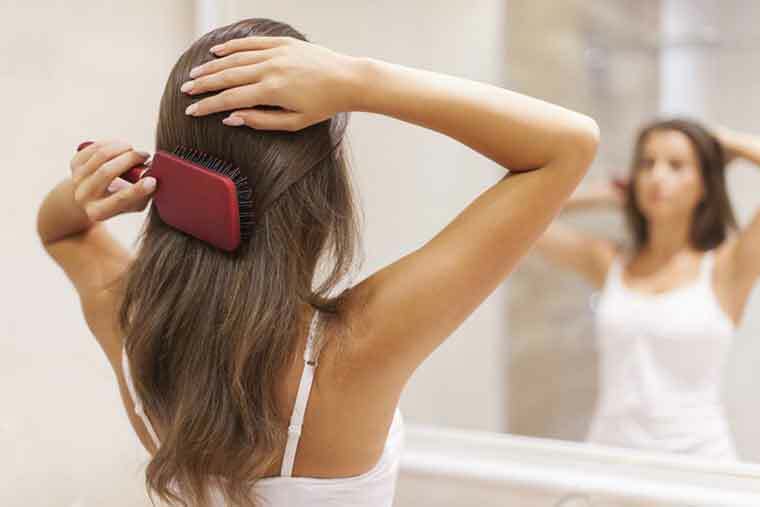 If you want to prevent excessive hair loss, then comb your hair before washing it. 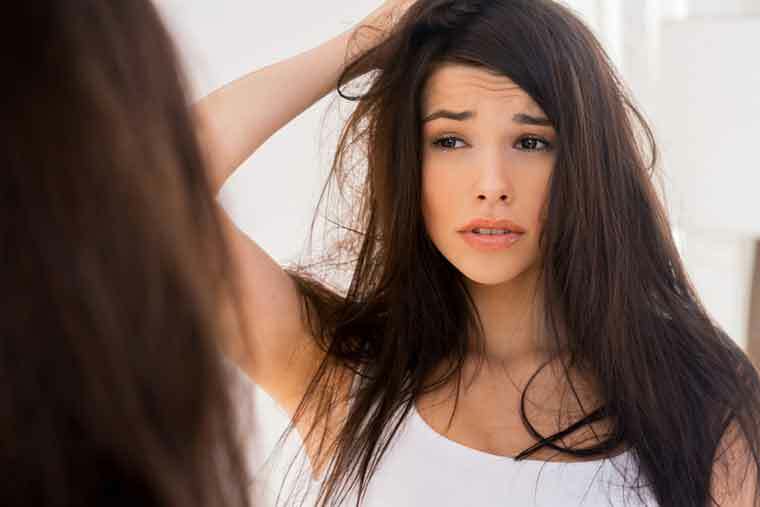 Wet hair follicles are highly prone to tangling. These tangles cause the hairs to fall when we try to untangle them where they are still wet. 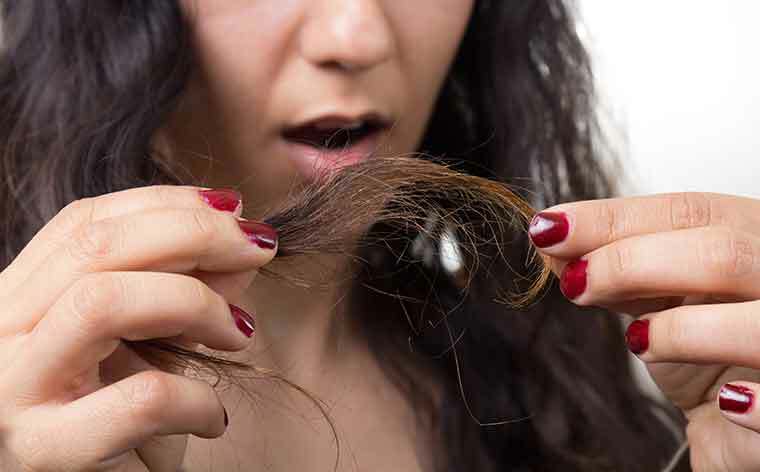 This causes severe damage to hair roots leading to instant hair fall. Yes, it is a fact that excessive brushing causes severe damage to the hair follicles. However, it is also true that end to end brushing increases hair's luster to a great extent. Besides, it also stimulates circulation and helps in hair growth at the same time keeping your hair healthy. Make the best use of the natural oils in your scalp and start your brushing effort from the roots. Gently bring down the brush so every individual hair strand gets pampered helping them to retain their natural glossiness. That being said you are not supposed to brush your hair too often. Just brush it once or twice regularly every day. Also, make sure to go in for a good quality brush. A common hair care mistake made by most is washing their hair way too much. 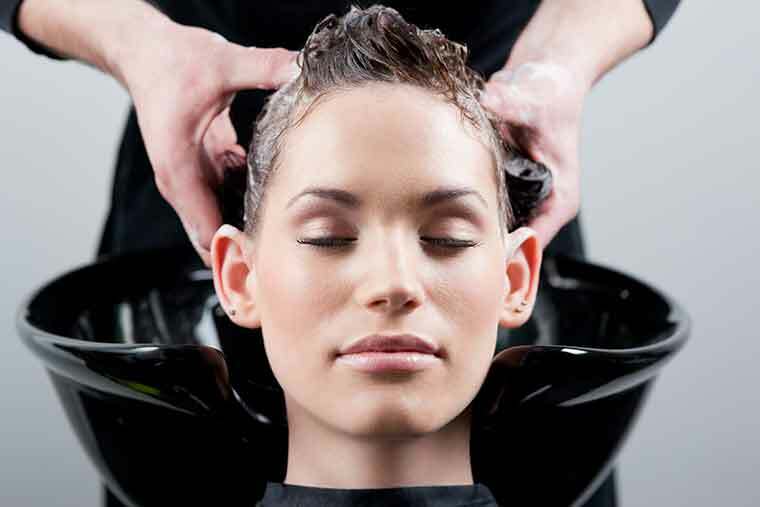 The main function of shampooing is to cleanse your scalp by removing excess oil, dirt, sweat, and dandruff if any. It is a bad option any day to wash your hair daily. Frequent shampooing will strip the natural oils of your hairs that is essential to keep your hair healthy and moisturized. 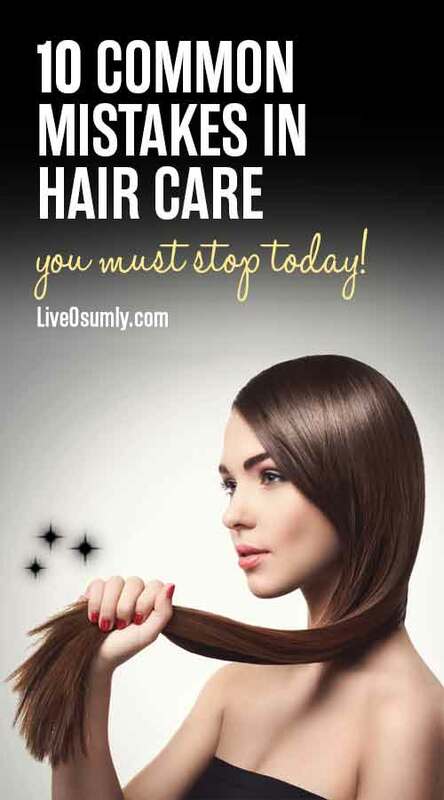 This, consequently, makes your hair over-dry, brittle and more prone to hair fall. Shampooing your hair twice or thrice a week is sufficient for most hair types. However, if your hair is too oily or if you workout daily, you can wash it every other day. Using roughly textured towels damage the hair cuticles making them look dry and frizzy. The breakage caused makes the hair strands lose their glossiness. Therefore, it is important to use a soft towel to dry the hair. Applying spray before styling is another common hair care mistake that many follow out of ignorance. 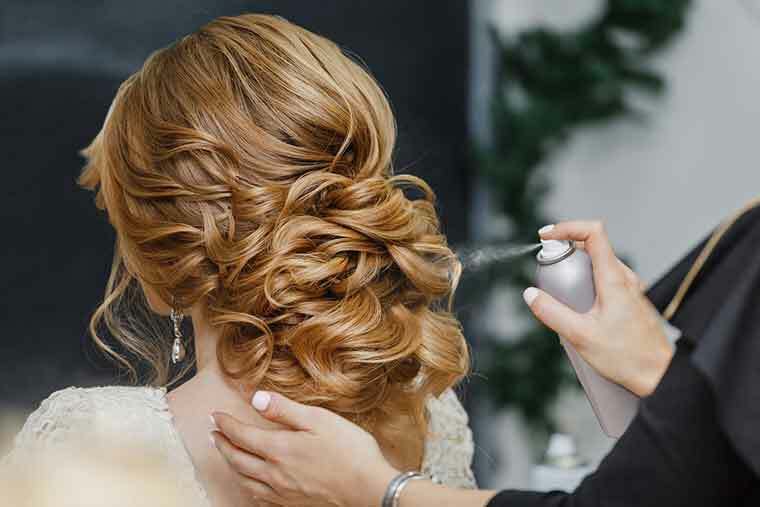 When you go in for styling your hair, the spray must be used only after the complete styling process is over. This is to avoid the burning of alcohols in hairspray with the heat during the styling process. Remember style first. Spraying comes only as the next step always. 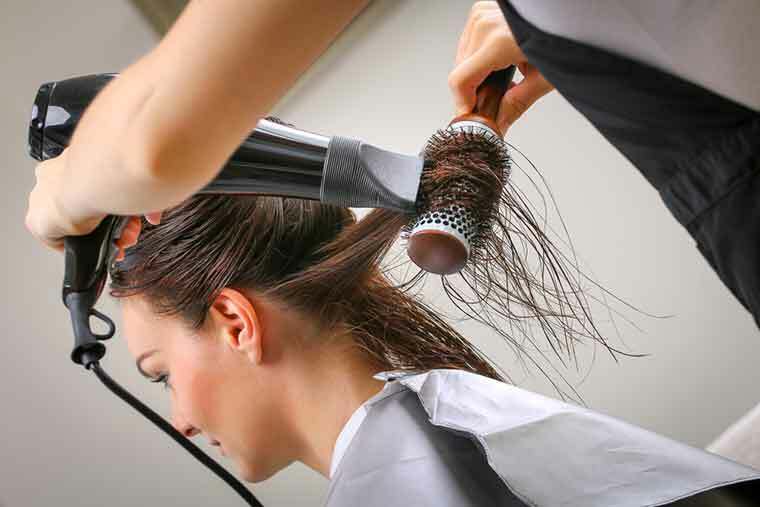 If you use a blow dryer every day to dry your hair, you are using an excessive amount of heat on your hair. Too much heat will damage your hair resulting in huge hair loss over a period of time. However, heat protective aids are available for such women who like blow drying. Never use a hair dryer on damp hair as it damages your hair strands. Hence, dry your hair naturally with the help of the fingers before using a blow dryer. At times of urgency, you can choose the warm mode instead of hot mode to protect your hair from more heat. Also, don’t concentrate on one area for much time as it causes extensive damage. Keep moving the dryer from one section to the other section of your head while drying. Many times, we follow certain hair care techniques just because the same has been followed by our near and dear ones for many years. 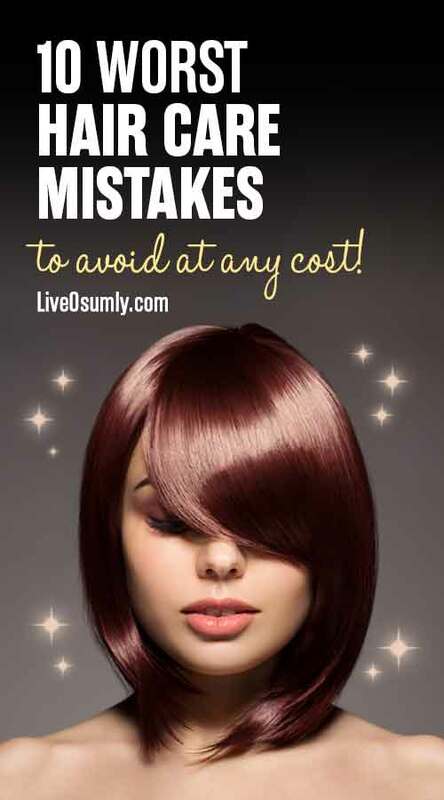 Most of the hair care mistakes we do are based out of the wrong advice offered free of cost by others around us. Realizing the damage that certain actions of ours can cause to the hairs will help us get rid of unwanted habits we are used to. This will, in turn, safeguard the hairs from damages allowing it to flaunt its healthy glow and enhance their long growth. Healthy looking lustrous rich hair is not just physical but has a huge impact on our own mental stature and psychological outlook. The high levels of confidence that well-maintained groomed hair gives us, make us fly high in cloud nine at all times. Therefore, avoid the above-mentioned hair care mistakes and be a proud owner of beautiful healthy hairs.